Clients often report to me how they or their loved ones are full of lies. This can certainly make things difficult for one trying to live an honest life or trying to be in a relationship with another person. When working with a therapist, it is important to be open and honest so that you can objectively explore your life and situations together, but it is understandable that this may take time to happen. Until you acknowledge which of the above four reasons (multiple or all) accounts for why you find yourself lying, then we cannot stop the lies. That certainly is a great summary of the eternal presence of lies. Now, I don’t want someone reading this and thinking that it’s okay to lie, the point here is that lying is our default if we don’t work on it. How true that is. How many times have I seen a client carrying on with a lie between him or herself and a spouse, child, friend or boss and it only gets more and more obvious, to everyone else but the liar him/herself. 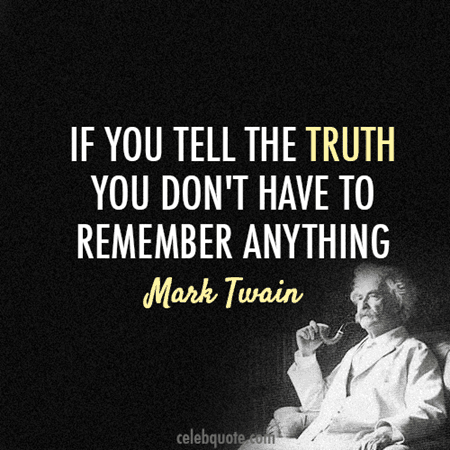 If you are a client of mine and you are reading this, don’t get nervous, I am not going to ask you to quit cold turkey, but if you do the work and understand the causes and gains you are hoping for in telling the lie, you will find the willpower and motivation to start telling the truth on a faster path than denial.